USCG-approved type III PFD for general boating. 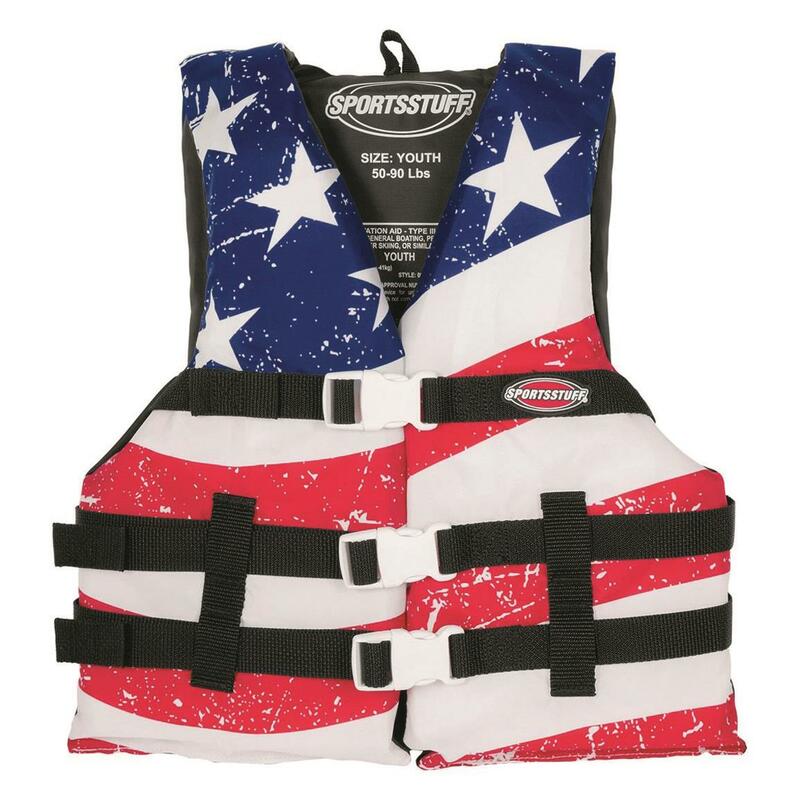 This summer, wave the flag proudly in the wind and waters with this Stars & Stripes Life Jacket. It's a festive take on staying safe while enjoying friends, family and your favorite watersports. Type III PFD is ideal for canoeing, kayaking, paddleboarding—and wear in calm waters. Accommodates user weights over 90 lbs. Sportstuff Stars Stripes Life Jacket, Oversized PFD is rated 2.0 out of 5 by 1. Rated 2 out of 5 by Skip from Too small Ordered 3. I’m 6’tall & weigh 190 lbs. Vest barely fit when fully opened. Very tight fit, uncomfortable, & hard to get on. Won’t fit anyone bigger than me. I will use them for smaller people. Other than that, I like them.